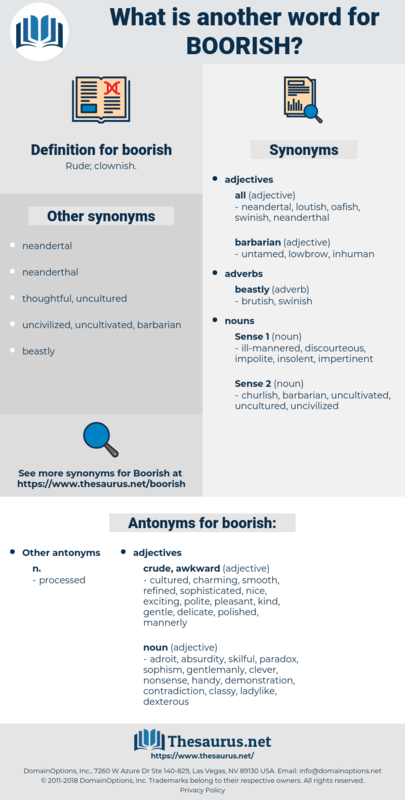 What is another word for boorish? cultured, charming, smooth, refined, sophisticated, nice, exciting, polite, pleasant, kind, gentle, delicate, polished, mannerly. adroit, absurdity, skilful, paradox, sophism, gentlemanly, clever, nonsense, handy, demonstration, contradiction, classy, ladylike, dexterous. Uncouth praise it was, bald, insincere, boorish. 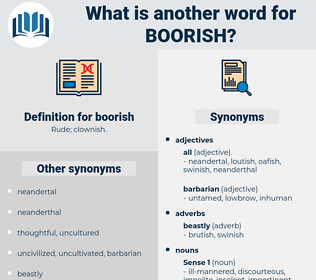 Have I indeed then been so boorish?